On December 9, 2013 an opinion post article in The Toronto Star, personal finance section, sparked one of our twitter followers to ask us to respond (view article). Roseman: In the 1990s, many Canadians were urged to put their retirement savings into labour-sponsored venture capital funds. It seemed like a no-brainer to receive $1,500 back on a $5,000 purchase because of federal and provincial tax credits. And the RRSP tax deduction reduced your cost even further. The only thing wrong with this scenario was that labour-sponsored funds had mediocre results. Only a handful made any money at all, even over the eight-year holding period required to avoid repaying the tax credits. And many funds suspended redemptions after the 2008 stock market crash, leaving investors on the hook for an even longer period. Labour-sponsored funds flamed out once the provincial tax credits vanished. But a new venture capital idea is making the rounds – one with the potential to part people from their savings in an equally devastating way. NCFA Canada: While government tax incentives designed to stimulate the economy is generally seen as a good thing, it’s important to understand that venture capital funds and equity crowdfunding securities are not the same investment. Venture capital funds generally seek scalable technologies or business models that have the potential for explosive returns. They are looking for start-ups with a unique IP, market differentiation and interest to become a dominant player in a specific industry. 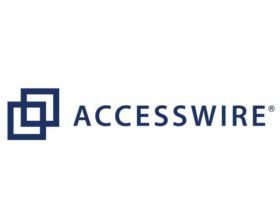 They commit high risk early stage seed capital, apply expertise and resources, and then seek follow-on funding rounds as they scale and tweak the model working towards a predetermined exit or IPO. Equity crowdfunding investments on the other hand, might involve raising a small amount of capital to support a community business, such as a local restaurateur seeking funds to renovate their space and menu and are offering non-accredited investors a chance to invest in their local community in exchange for shared ownership in the business, profit sharing and possibly some co-owner perks (i.e., product discounts). Roseman: It’s called equity crowdfunding – and it’s different from the crowdfunding you find at portals like Kickstarter and Indiegogo. When you pledge money in a crowdfunding campaign, you get rewards, such as a newsletter or a new product when it’s commercially available. But with equity crowdfunding, you get securities. You become an investor in a startup company. Here’s the problem: These firms are still searching for a market niche and a pathway to profit. Since their shares are not traded on stock exchanges, they can be hard to sell in a crisis. NCFA Canada: Make no mistake, if you are investing in a start-up you should not be expecting to receive a quick return. Conversely, as an investor, if you are seeking short term gains on the stock market then you might consider high volume stocks that exist on the public exchanges or low risk money market instrument, such as a Guaranteed Investment Certificate (GIC). Investing privately in start-ups and small-to-mid-size enterprises (SMEs) through an equity crowdfunding specific exemption offers the general public the choice of participation without being an accredited investor. Note, with current income and asset thresholds less than 4% of Ontario and the Canadian population qualify as an accredited investor (see OSC Review pg19). For entrepreneurs, 4% is a very small pool of 'angels' to approach for seed capital to develop a startup or small business. No wonder Canada has a funding crisis (i.e.,funding gap) and the human capital of entrepreneurs and innovators are migrating to the U.S. and other countries. Equity crowdfunding is about supporting job creation and innovation by providing desperately needed seed capital to entrepreneurs and small business owners who are the backbone of the Canadian economy. 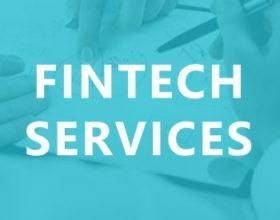 Investors will be given dashboards of tools and information to assist them in evaluating and selecting opportunities that match their investment profile in terms of risks and rewards. Many investors who support small businesses are looking for double or triple bottom returns and are seeking a mix of both financial and non-financial returns. They want to participate and engage with entrepreneurs and share their experience, insights and networks. Your investment is capped at $2,500 in a single issuer or $10,000 in a calendar year. You have a cooling off period of two business days to withdraw from your investment decision. You have to go through a registered investment portal to invest, instead of dealing directly with the issuer. You must sign a form, acknowledging that you understand you may lose your entire investment and you can bear that loss. “This is extremely high risk capital,” Turner said. “Ninety-nine per cent of startups won’t succeed. You’re not investing for your retirement. We want people to know that.” In an OSC survey, 12 per cent of respondents who identified themselves as “low risk investors” expressed a strong interest in crowdfunding. This raised concerns about vulnerability to losses and fraud. NCFA Canada: Fraud exists in every man-made system whether it involves a credit card, insurance program or publically traded company like Sino Forest. 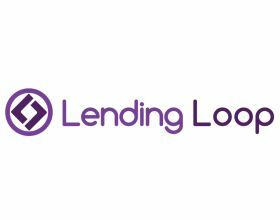 With crowdfunding the appropriate safeguards need to be put in place to help identify and mitigate fraudulent activity, full stop. Crowd governance will play a role. The diversity of investor participation in crowdfunding markets allows for a wide range of perspectives and investor due diligence to occur – think yelp reviews for investments. A key concept that was discussed at the CFA event was the portal as a gatekeeper. What is the appropriate level of initial screening and due diligence for a portal? Regulatory costs (to operate a portal or to undergo an equity crowdfunding issue) and related procedures should not be so excessively expensive or burdensome that it suppresses market innovation before it’s even had a chance to ‘get out of the gate’. We should be looking for cost effective and streamlined solutions that can be implemented and monitored effectively. Regulations should be scalable based on the size of capital raise and the issuer type (where possible). If, for example, a first year pre-revenue start-up is seeking to raise a small amount of capital (i.e., $300,000), they shouldn’t be required to provide audited financial statements. Regulations of an equity crowdfunding portal should be lighter than the current EMD requirements. One model is of course what the OSC has already approved with the SVX (A social impact portal targeted at accredited investors and funds), which is a Restricted Dealer category exempt from suitability (limited KYC and no suitability). An online streamlined offering document could be used to provide investors with an appropriate amount of disclosure. Reasonable due diligence on all issuers allowed to transact on their portal including rudimentary background checks on directors, founders and the leadership team. Limit crowdfunding investments to five per cent of a person’s income or financial assets. NCFA Canada: Verifying a percentage of one’s income or financial assets is an evasive question for investors to answer and a deterrent to invest. We prefer a fixed investment cap to limit investor risk as a more manageable solution to implement and monitor. Give investors a statutory right to sue for misrepresentation against the issuer and the registered investment portal. This includes the right to start a class action to seek recovery for losses. NCFA Canada: Although investment risk is capped at small levels, a creative insurance program could help mitigate losses. Further, a low cost and effective dispute resolution process would serve to streamline and resolve issues when they occurred. Ebay has incorporated a standardized process to resolve disputes that seems to work. Perhaps there are some lessons to be learned for the crowdfunding space. Require issuers to use any capital they raise to expand their business or create jobs within Canada. Require issuers to supply audited financial statements and tell investors if they plan to use the money they raise in a different way than disclosed in the information statement. NCFA Canada: We feel this requirement would be too expensive for some issuers. Please see Scalable Regulations above. 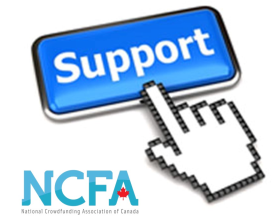 NCFA Canada: We believe education is crucial to protect investors and ensure that they understand the risks involved with participating in equity crowdfunding investments. There is a financial literacy issue in Canada that needs to be addressed amongst both small business owners and investors. With equity crowdfunding rules imminent in Canada, perhaps it's time for government, industry and academia to allocate a budget and work together to fill the educational gap. Roseman: “Equity crowdfunding abandons fundamental principles that have made Canadian markets so successful at raising capital – including full disclosure, due diligence and insider regulation,” Passmore said. Reducing investor protection could lead to the opposite of what is intended. It could hurt legitimate businesses by increasing the cost of capital, while making it easier for scammers to steal investors’ funds. In Canada, lotteries are regulated. Schemes to raise capital for startups from unsophisticated investors require the same level of oversight. NCFA Canada: The advancements of technology in recent years have been remarkable and are changing the way we investigate, communicate, transact and participate in almost every facet of our professional and personal lives. These technologies are secure, tried and tested and are innovating inefficient industries one after another around the globe. Equity crowdfunding or “the distribution of securities online” doesn’t so much detract from fundamental due diligence and Canadian capital raising regulatory principles but rather it encourages the use of technology to achieve efficiencies in the capital formation process while enabling new channels of funding to fill a crucial funding gap via wider participation models. Over time, historical transactions will be aggregated into a robust database that will provide more transparency and insight into the inner workings of private market transactions than currently exists today. Longer term, this will ultimately lead to right sized and scalable regulations that appropriately balance the cost of investor protections and efficient capital formation. If we do not allow the general public to participate through equity crowdfunding mechanisms in a fair and cost effective manner, we are restricting growth on both the buy and sell side of a constrained marketplace and thus, negatively impacting job creation and innovation at feeder levels that need our help the most.